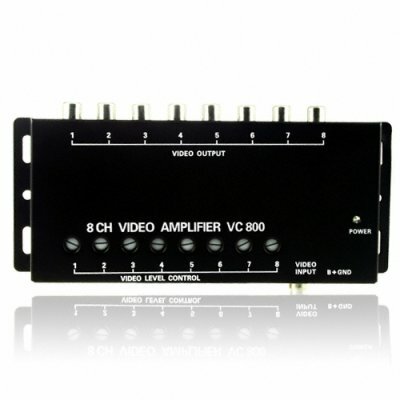 Successfully Added 8 Channel RCA Video Booster to your Shopping Cart. Are you sick of getting a washed out signal on the rear most screen of your car? Or do you easily want 8 monitors to show the same picture? This is what you need, a simple but effective product, the Video Booster splits one input signal into 8 output signals whilst maintaining the originals integrity. The 8 channels are all individually gain adjustable so you can get your rear monitors to show the same looking picture as the front. Great for MPV's (multi-purpose vehicles, touring buses, etc) - everyone can have a monitor! Buy now and take advantage of Chinavasion's wholesale prices, 12 month warranty and drop shipping services.